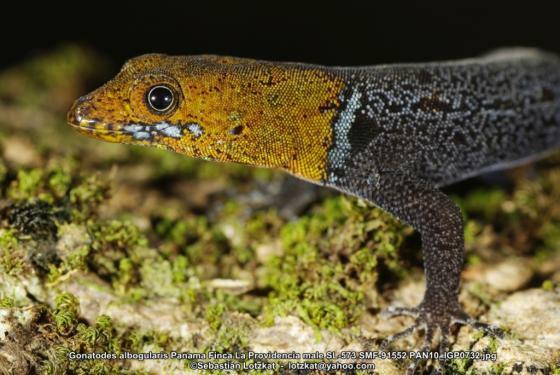 Can you confirm these amateur observations of Gonatodes albogularis? bodinii: Venezuela (Monjes Islands: Monje Grande del Sur, Monje Grande del Norte); Type locality: Monje Grande del Sur, Venezuela. notatus: Hispaniola, including lIe à Cabrit, Ile de la Gonâve; Jamaica; Grand Cayman Island. Altitudinal distribution sea level to 3000 ft.; Type locality: Aquin, Departement du Sud, Haiti (but see comment). 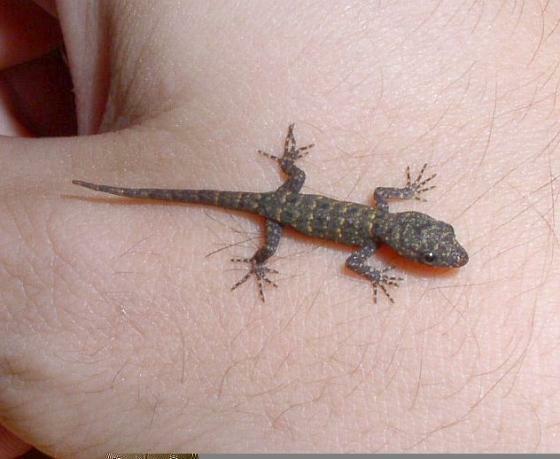 Type locality: Martinique and Cuba. Comment Illustrations: see Stejneger, 1917; Barbour and Ramsden, 1919; Cochran, 1941; Smith, 1946; Conant and Collins 1991; Petzold, 1965. 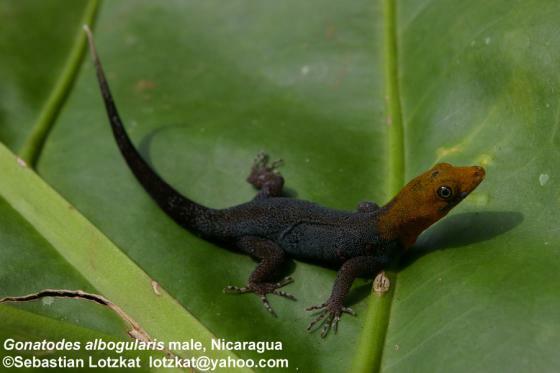 Subspecies: Gonatodes albogularis fuscus (HALLOWELL 1855) is considered as a valid species by several authors. Distribution: Not listed for Belize by KÖHLER (2000). Schartz & Henderson 1988 provide two different type localities for G. a. notatus, namely the one given above, and “Port-au-Prince, Petionville, Jeremie, Diquini, Miragoane, Petit-Goave, Croix des Bouquets, Gonalves, 12.8 mi. N Cavaillon)”. 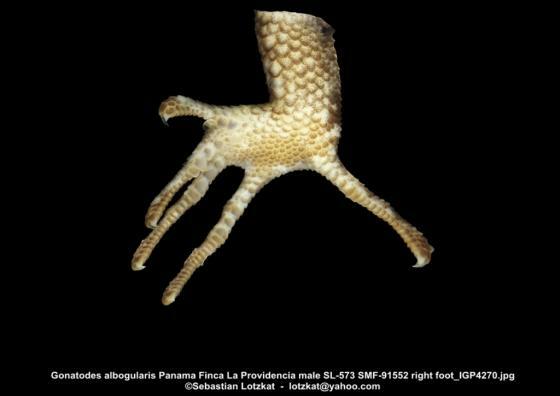 Vanzolini and Williams 1962 commented upon the questionable status of the type-material of G. a. albogularis from Martinique, from where the species has not been re-recorded. 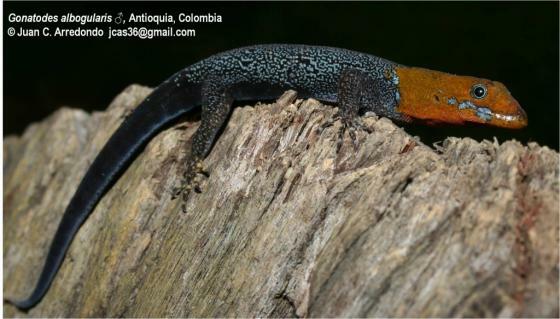 The nominate subspecies is known from South America (Vanzolini and WiIIiams 1962). 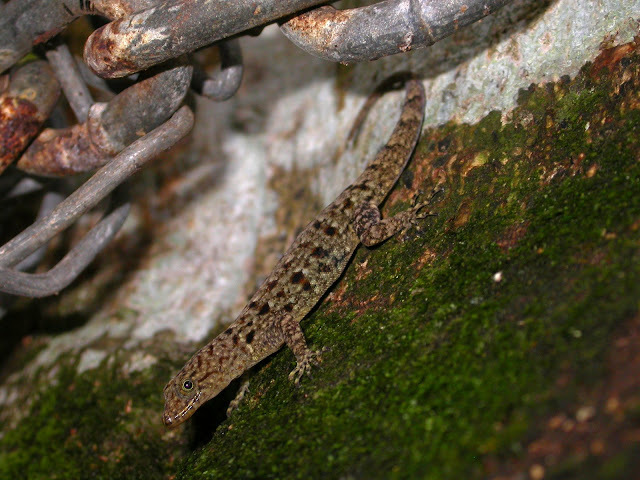 Records from Trinidad and Tobago are dubious (Murphy 1997) and may represent G. vittatus which is fairly ubiquitous there (Stevland Charles, pers. comm. 1 March 2018). For maps of species distributions see Vanzolini 1968: 89 (Map 1). 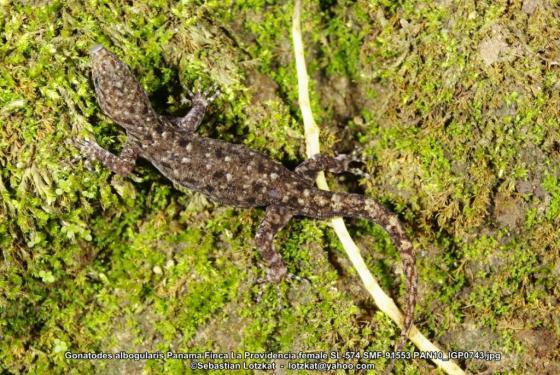 Type species: Gymnodactylus albogularis DUMÉRIL & BIBRON 1836 is the type species of the genus Gonatodes FITZINGER 1843: 91. 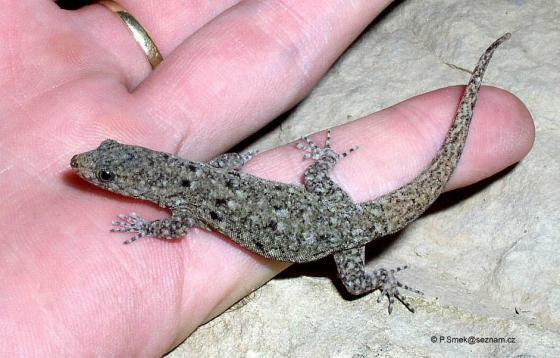 Fitzinger (1843) defined the genus Gonatodes to accommodate three species, G. gravenhorstii, G. laevis, and G. albogularis but without designating a type species. With gravenhorstii and laevis being nomina nuda, albogularis becomes the type species (see Rösler et al. 2019 for a discussion). 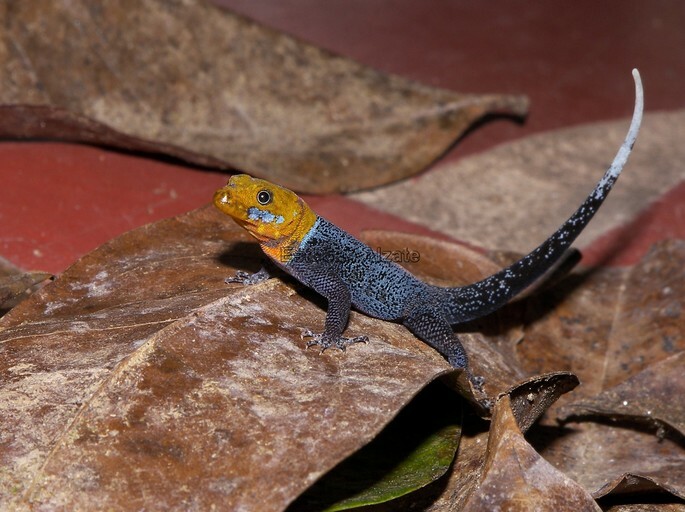 Description: Gonatodes species are generally sexually dichromatic, with males being conspicuously ornamented with bright colors, whereas females are always cryptically colored (Rivero-Blanco 1979). 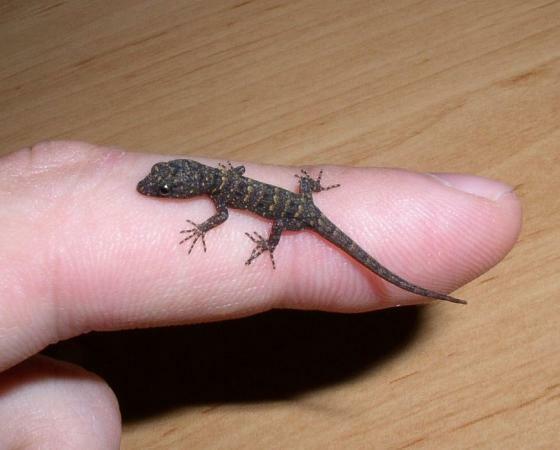 The only exception seems to be Gonatodes lichenosus. Etymology The name albogularis is derived from the Latin words albus (white) and gula (throat) and Latin suffix -arius (pertaining to). The name refers to the white throats of the syntypes alluded to by A. M. C. Duméril and Bibron (1836). Petzold, H.G. 1965. Ein kubanischer Gelbkopfgecko im Tierpark Berlin. Aquar. und Terrar. 12 (3): no pagination. Rivas, Gilson A.; Gabriel N. Ugueto, Walter E. Schargel, Tito R. Barros, Pablo Velozo, and Luz Esther Sánchez 2013. 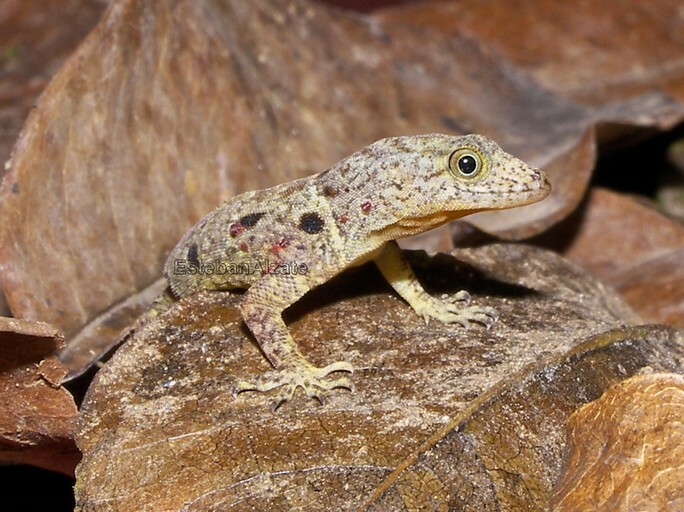 A Distinctive New Species of Gonatodes (Squamata: Sphaerodactylidae) from Isla La Blanquilla, Venezuela, with Remarks on the Distribution of Some Other Caribbean Sphaerodactylid Lizards. 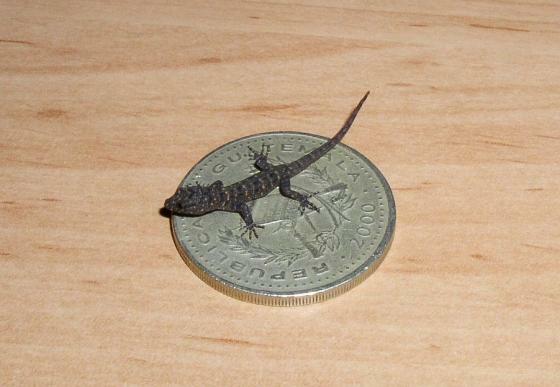 South American J. Herp. 8 (1): 5-18. Rivero-Blanco, C. 1979. 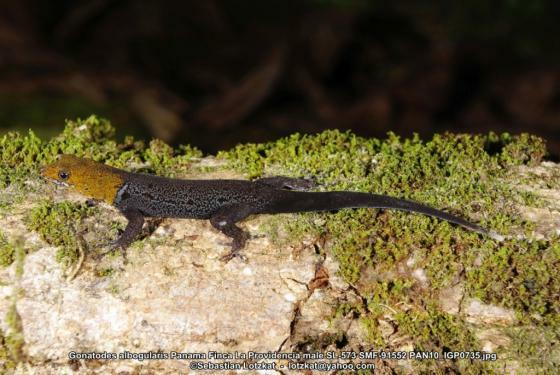 The Neotropical lizard genus Gonatodes Fitzinger (Sauria: Sphaerodactylinae). Unpublished Ph.D. dissertation, Department of Wildlife and Fisheries Sciences, Texas A&M University, College Station. 233 pp. Smith, Hobart M. 1946. 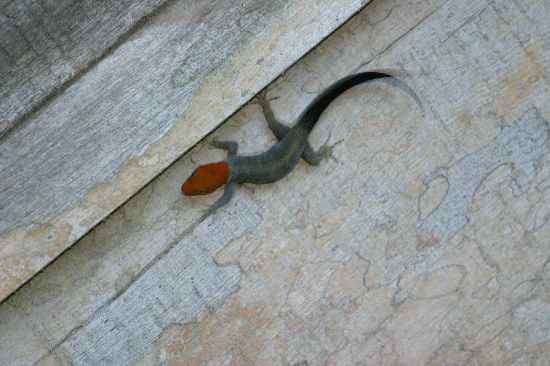 Handbook of Lizards: Lizards of the United States and of Canada. Comstock, Ithaca, NY, xxii + 557 pp.